Private yoga sessions are great for addressing your specific therapeutic needs. Practice along with your yoga community! Find a class in Santa Cruz or Los Gatos. Attending a workshop or specialized training can take your yoga practice to the next level. Yoga with Alice really is as good as it gets. She gives students individual attention to help them align properly, even in large class settings. She focuses just as much on strengthening as flexibility and my strength has increased exponentially since I’ve started attending her classes regularly. In her private sessions she assesses your body to help you learn how to use it better on an everyday basis. She shows you what exercises are most important for alleviating nagging pains or preventing them. As a massage therapist, I use my body for work, and I am susceptible to injury. I credit Alice and the combination of stretching and strengthening in her classes to keeping me injury free! She’s that good! My favorite yoga teacher!! She teaches Anusara with passion, cheer, and infectious energy. Her teaching style ranges from heartfelt to playful. She challenges her students while keeping the class accessible and welcoming to all ability levels. She always begins class with a lesson or something to meditate on during our practice. She uses metaphor very well. I love going to Alice’s classes. She focuses on alignment, heart opening and living in our bodies. 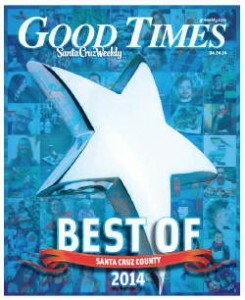 Alice won runner-up for Best Yoga Teacher in the Santa Cruz Good Times in 2010 & 2014. Alice Kennedy’s levity and love bring a unique blend of hard work and play to the classroom. As an alignment based Hatha yoga teacher and student, she is committed to alignment ideas that support intuition, safety, depth, and healing. This includes a deep acceptance of oneself and the broad range of human experience. 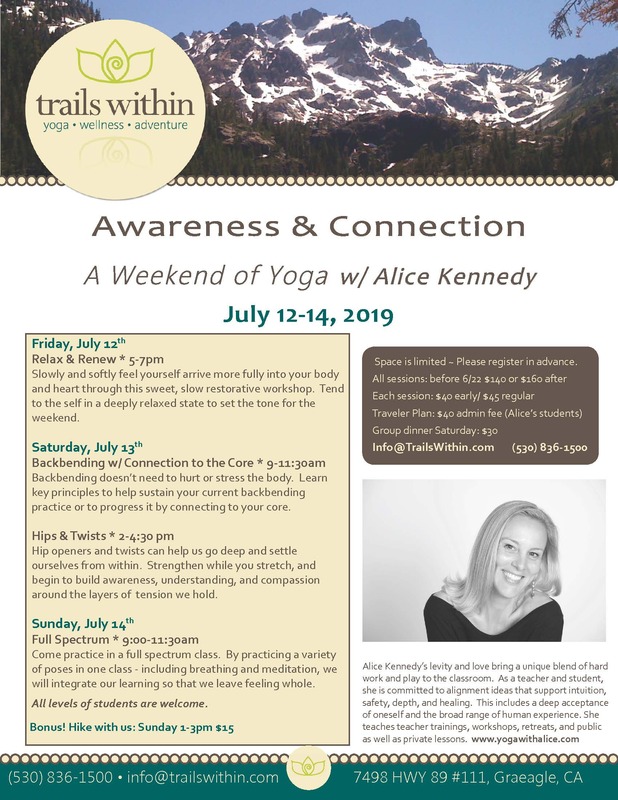 She teaches teacher trainings, workshops, retreats, and public as well as private lessons.